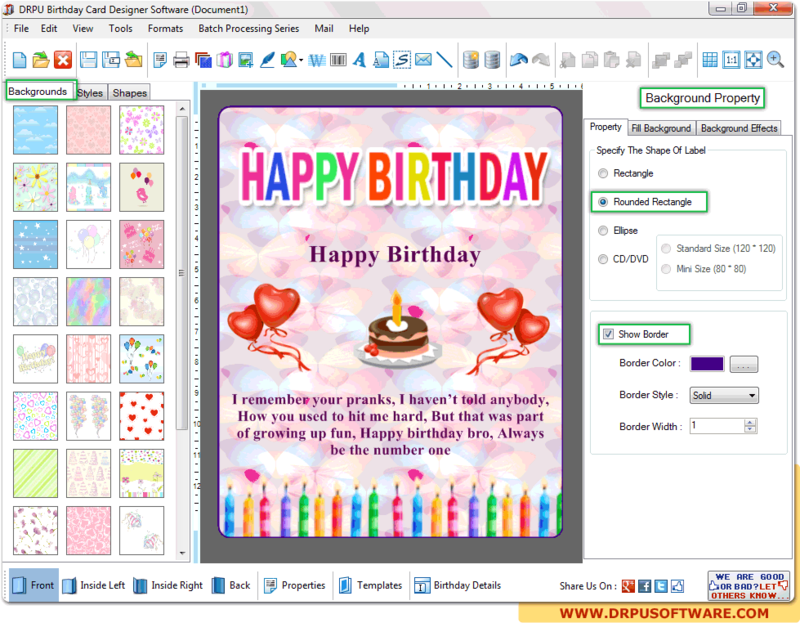 Design Birthday greeting card using Templates, Wizard or Blank format as per your choice. 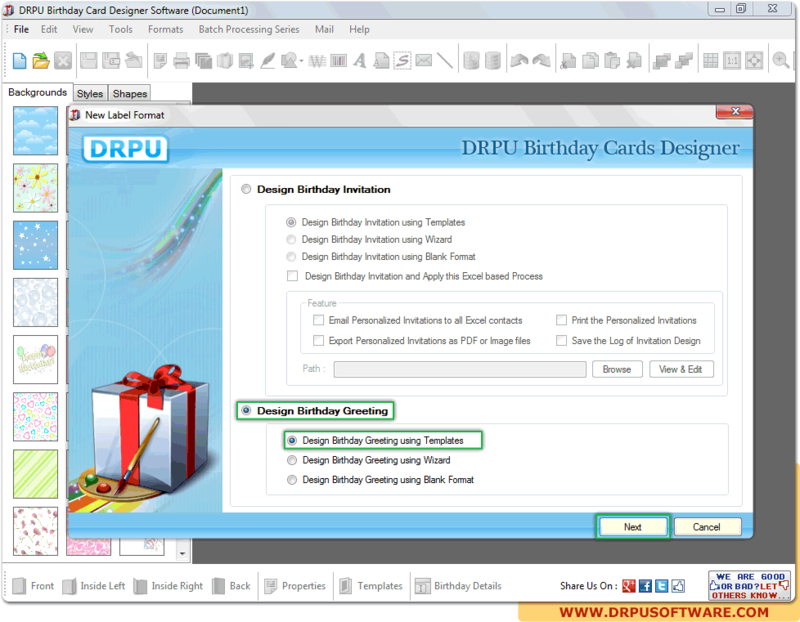 Choose card size and types of fold as per need and select background for your greeting card from given samples. 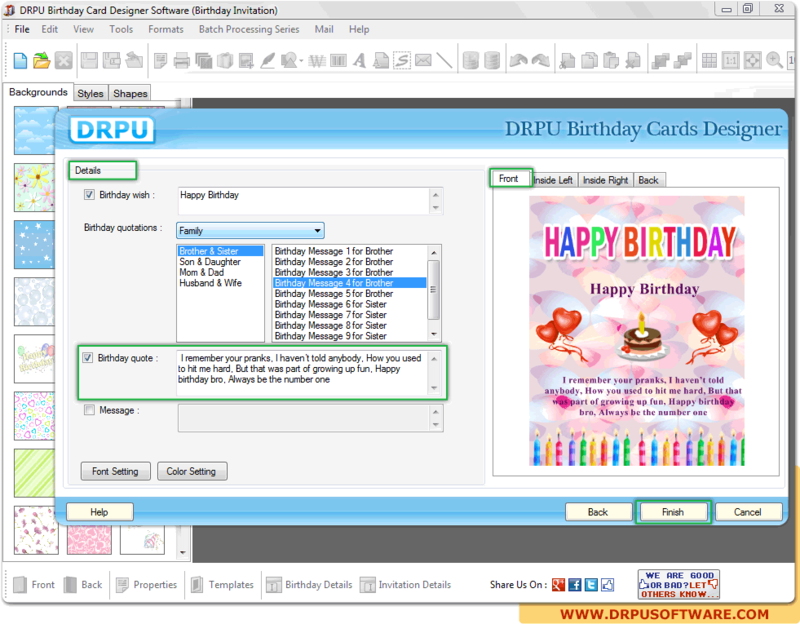 Enter the birthday card details with birthday quotes as per need and click on finish button. 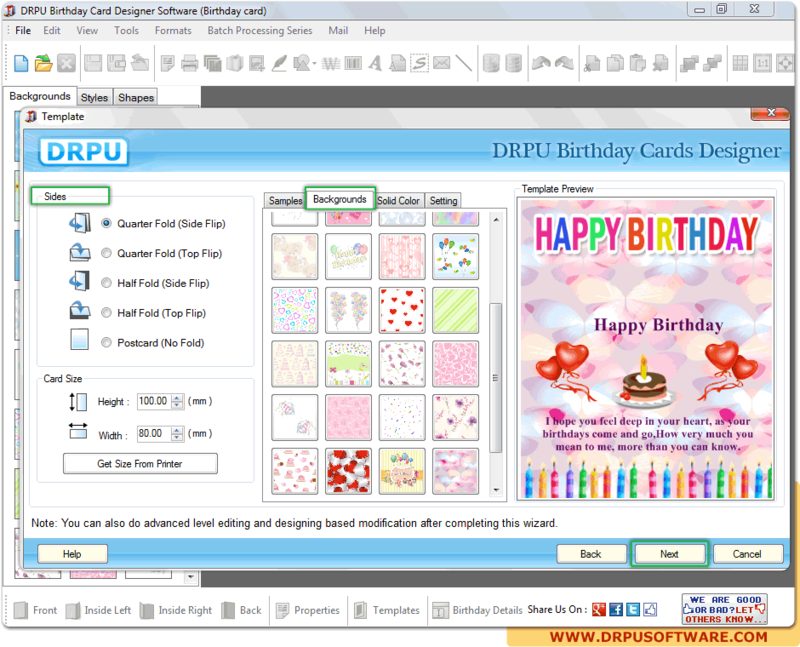 Select shape of card and choose border style and width of desired birthday card.